Are you seeing a spate of irregularities in your health, such as constipation, dry and itchy skin, decreased sweating, fatigue, and inexplicable weight gain? They’ve probably caused you some amount of panic and made you wonder if you need medical help. Actually, you might, as these are some common hypothyroidism symptoms. Hypothyroidism is a medical condition caused by the malfunctioning of the thyroid gland. In this case, the gland is underactive and as a result is unable to produce sufficient quantities of the thyroid hormones thyroxine (T4) and triiodothyronine (T3). 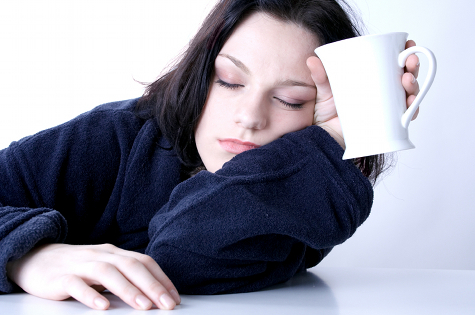 Fatigue and depression are some common hypothyroidism symptoms that appear in the early stages of the condition. Here are some other symptoms that indicate hypothyroidism. Other early symptoms that are observed upon clinical diagnosis are hypercholesterolemia, high levels of serum cholesterol, and hyperprolactinaemia, high levels of prolactin in the blood. If you notice any of these symptoms, you should immediately consult a doctor for a hypothyroidism test, and subsequent treatment in case the diagnosis confirms the presence of the condition. This level of caution is of utmost importance because hypothyroidism has the potential to turn fatal if left untreated. Here are some of the symptoms see in the later stages of hypothyroidism when the affected individual does not seek or is not given timely treatment. Carpal tunnel syndrome is one of the thyroid disease symptoms in the later stages. As hypothyroidism has a vast number of symptoms, there is a chance that you might miss some of them or pass the early signs off as minor abnormalities and refrain from going in for a hypothyroidism test. This would only increase the severity of your condition i.e. if you have hypothyroidism. For this reason, it is wise to be cautious, keep yourself well informed about hypothyroidism symptoms, and opt for medical help if you notice any of them. In fact, you should go one step further and protect yourself from this condition by countering its number one cause, which is iodine deficiency. Gathering more information on what is hypothyroidism is a good way to learn all about this condition and keep it at bay, or at least under complete control. This entry was posted in Hypothyroidism and tagged hypothyroid symptoms, thyroid disease symptoms by Zipheal Editorial Staff. Bookmark the permalink.